Pretty awesome. Also by Karen Portaleo/ Highland Bakery (Octopus Cake). 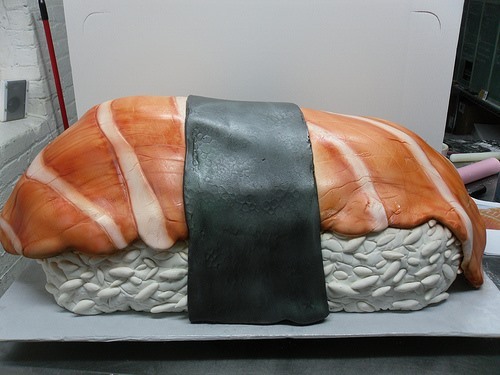 "This giant Sushi Cake was made for the filming of a movie here in Atlanta (shhhh..I can't say which movie yet!) "